We need to talk, Apple community. You have an addiction. An addiction to rumors. Oh, it’s not a problem, you say. You can quit any time you want! Take it from me, though: I’ve been following Apple rumors for 20 years and it’s a path strewn with deception, misery, and crank-powered iBooks, which was a “real” rumor that I swear to you sites once reported as true, unlike the ones I used to write. Just like the weather, everybody complains about rumors, but no one really does anything about them. Well, I’m here to do just that. Complain about them, I mean. There’s nothing you can do about Apple rumors. They’re a force of nature, like the weather, or flying insect swarms, or Rickey Henderson. As recently as May of 2013 I was lamenting the state of Apple rumors, that we lacked a canonical rumor on the level of the iPhone and iPad, an it thing that everyone was talking about. And now we’re staring down the barrel of an iWatch, which seemed lackluster back then, but it’s amazing what a year-plus of speculation will do. So, you’d think a grand unified theory of Apple would be enough, but nooooo. Rumors push ever forward. Here’s 9to5Mac reporting that Bloomberg is reporting that Apple will be shipping a 12.9-inch iPad next year. This is the “mill” part of the rumor process: One site gets someone in the supply chain to say something and the next thing you know everyone’s reporting it. When everyone reports it then people start taking it as fact, even if the truth is that Apple asked a Chinese manufacturer to make up a few large iPads as a gag gift for giant-fisted secret executive Bob Mansfield. Which is not cool, by the way. You should not do that. Mansfield might be very sensitive about his hands. Could these two iPads be joined by an even larger sibling? Because of the intense interest in everything Apple does, these things get around quickly, but not always with clarity. Somewhere a rumor site is probably reporting the 12.9-inch iPad as “purple monkey dishwasher.” Which, to be fair, may be more accurate than “definitely shipping early next year.” Is there a 12.9-inch iPad somewhere in Cupertino? Sure. Probably. Heck if I know. Why not? Does that mean Apple’s going to ship it? No. 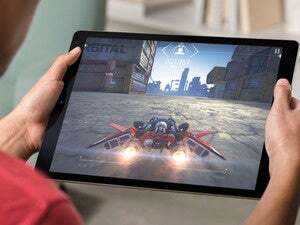 Potential customers for larger-screen iPads are businesses, where the device could take on more tasks of a traditional laptop computer. It’s true that we’re seeing a different Apple these days, one that went so far as to forge an alliance with IBM to sell things in the enterprise. But specifically making a product that’s targeted at businesses? Does that sound like Apple to you? Maybe there’s another angle to a large-screen iPad—the Apple TV in your lap!—that explains this monster, but if this does exist there’s more to the story (even with schools and government sales). Reason: Failed to show your work. Speaking of incomplete stories, let’s go ahead and talk about the supposed “iWatch.” Because waiting a day is just asking too much. For a long time the iWatch didn’t make sense. A Fitbit with notifications? That’s fine for Samsung, but it doesn’t scream Apple. 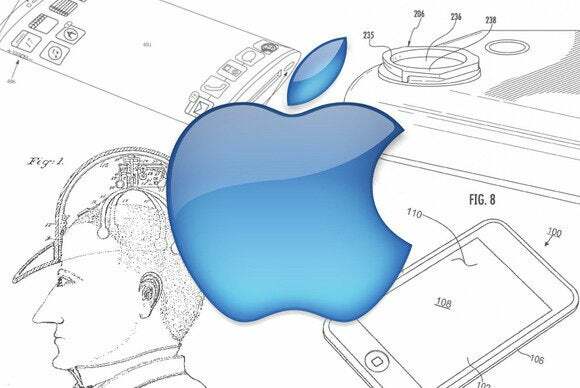 iWatch rumors make a lot more sense if you think about Apple incorporating wireless payments. Then another piece of the puzzle fell into place that not only made sense for Apple but for users: payments. Now the Wall Street Journal is reporting that the iWatch, along with iPhone 6, will include payments via NFC. If you’ve ever used Disney’s MagicPass, you know how delightfully insidious they are. Tap, punch in code, pay. It’s easy. Possibly too easy. But it’s easy and, well, Apple-like. Not only that, but it’s further rumored that Apple got a better rate with banks by assuming some of the fraud risk. Now we’re seeing some mystery meat with those imaginary potatoes! Aaand we still don’t really know what Apple’s cooking. Reason: You want to make your life easier; Apple wants a cut of all those transactions. Finally, we might as well talk about the iPhone 6 since we’re going all “open our presents on Christmas Eve.” After months of rumors that Apple would launch a larger phone—or two larger phones, because why not?—some wondered how a larger screen would fit in with Apple’s insistence that the average thumb should be able to reach every corner of the screen. That … that couldn’t have been … marketing, could it? Say it isn’t so. If Apple does a one-handed UI, don’t bet on it looking like the one on Samsung’s recently released Galaxy Edge. Apple rumors come in all varieties. Hopefully together we can navigate these troubled waters. Or at least have some fun riding the waves.